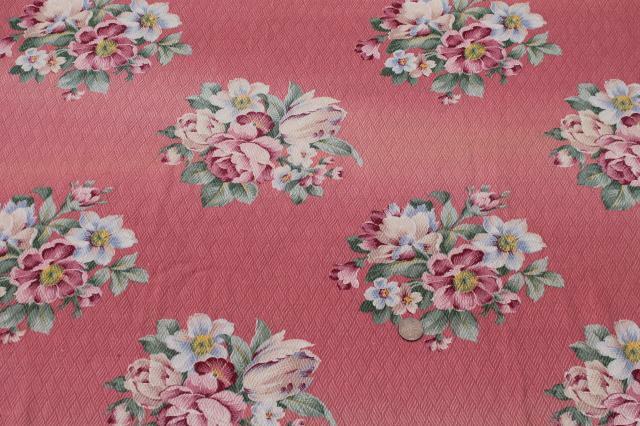 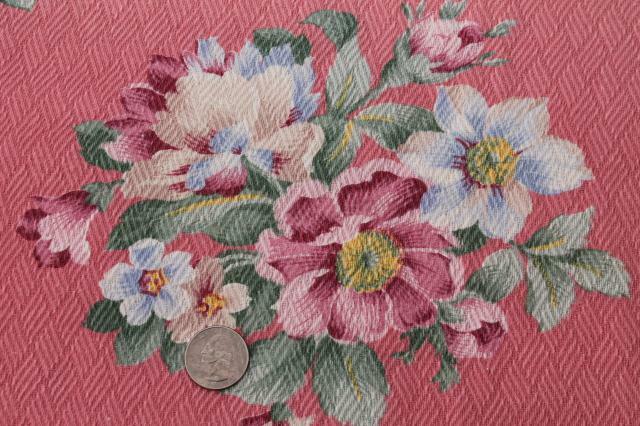 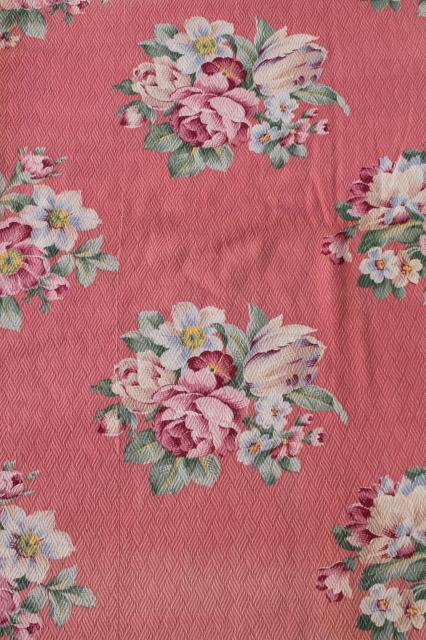 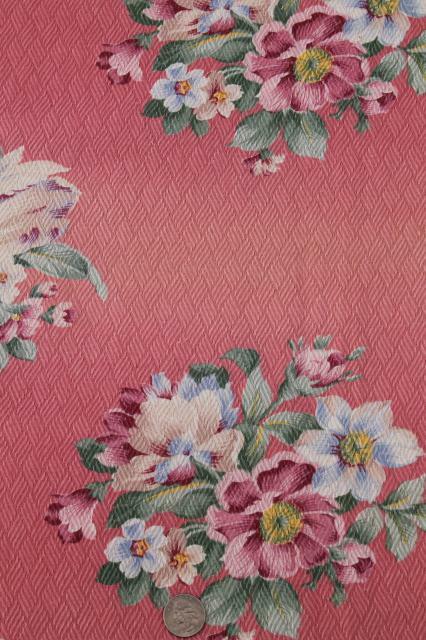 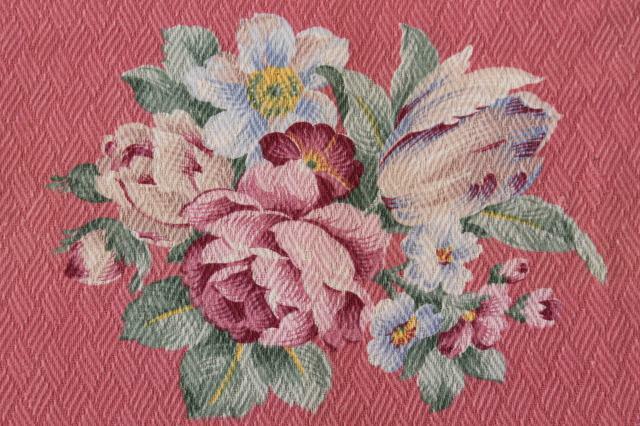 1940s vintage flowery cotton barkcloth, a little shabby but oh so pretty! 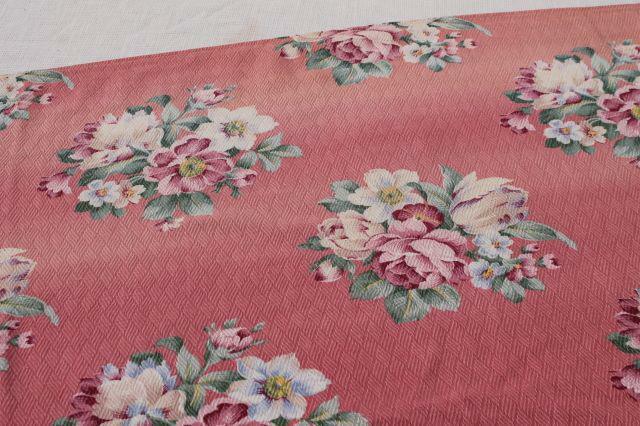 This lot is two pieces, each 36" wide x 188" long - used for something (swagged curtains? 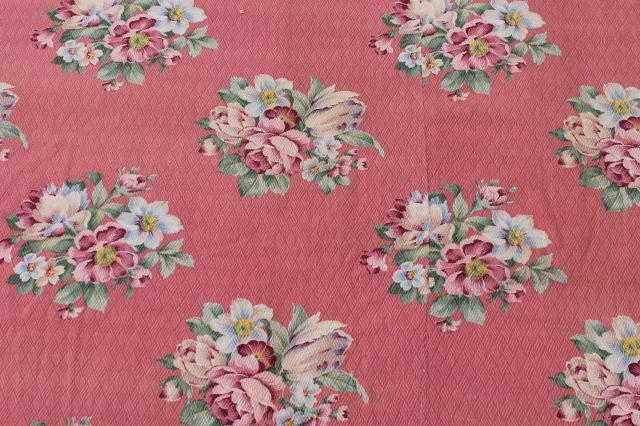 banquet table covers? 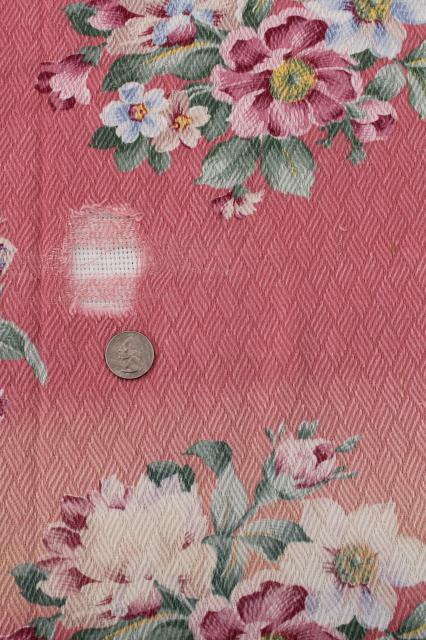 ), neatly pieced, partially hemmed. 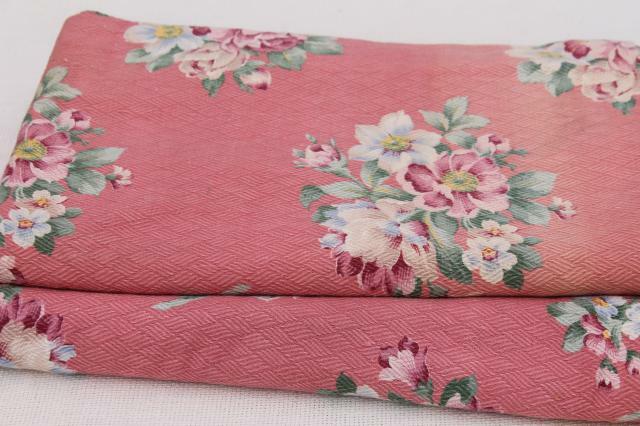 Both are nice and clean but do have some wear, fading, a few holes.